Humanities Prep students attended the Teen Press Conference at the 92Y organized by The National Book Foundation on Tuesday, November 13 from 10:30 am to 12:30 pm. Students met the five finalists of the young adult fiction category for the National Book Awards, a prestigious award that authors have received for the last 69 years! They heard the finalists read from their novels and had a special opportunity to ask questions to the authors during the Q&A session. Each school was assigned to read one of books from the five finalists. At the end of the event students get their books personalized by their corresponding author. The Teen Press Conference is a great opportunity for students to meet authors, get to talk to them one on one and read books where they see themselves represented. 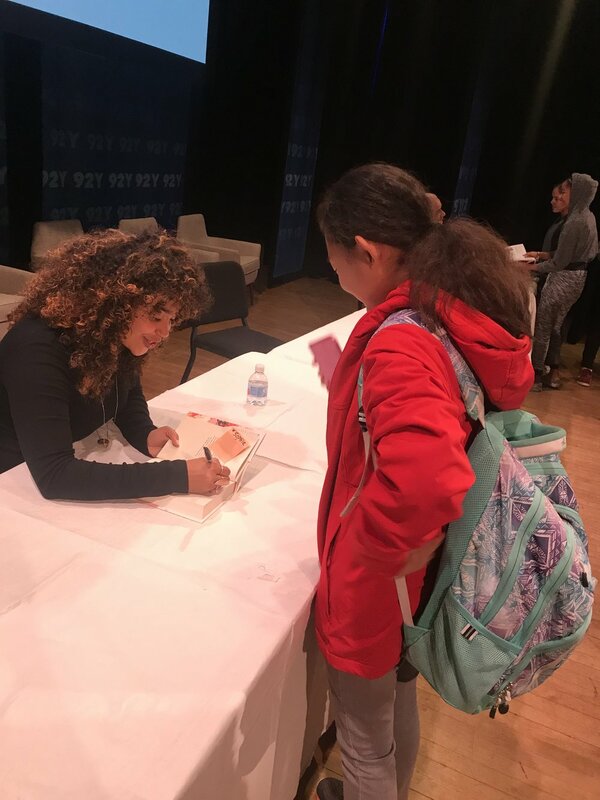 Our students got the honor to meet Elizabeth Acevedo, the winner of the national book awards (we didn’t know at the time). We read her debut novel, The Poet X which is about a LatinX student, Xiomara Batista who grows up in Harlem and uses poetry to cope with the world around her.